PURCHASE THE BUBBLE PARTIES BUSINESS PROGRAM TODAY! The Bubble Parties Business Program provides you with the knowledge YOU need to get started as a Bubble Party provider in your market! Originally developed by John Allo, this program allows providers with the opportunity to BUBBLE your way into MORE PROFITS for your DJ Business! 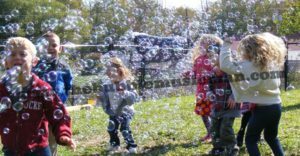 This program features many elements to help you succeed, including a fully detailed Business Plan, Website Listing, Territory Protection and a formatted Website to help you promote your services as a Bubble Party provider! Because of the Competition Protection benefit, we need to check availability of this program in your market. Please complete the information below. Once we confirm your county is available, we will forward a PayPal invoice based on the selection you make below. If you are interested in becoming a Bubble Parties provider, please fill out the form below and click submit.